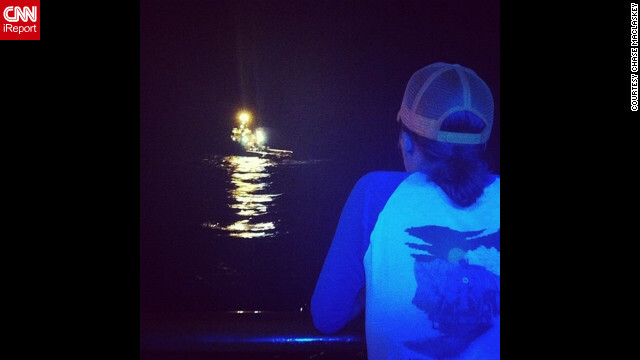 "Mike watching the first tugboat setting up to pull us," writes Chase Maclaskey on Instagram. The 4,229 passengers and crew aboard the Carnival Triumph have been stuck on the ship since fire disabled the vessel on Sunday, February 10. Click through to see passengers' photos from on board. 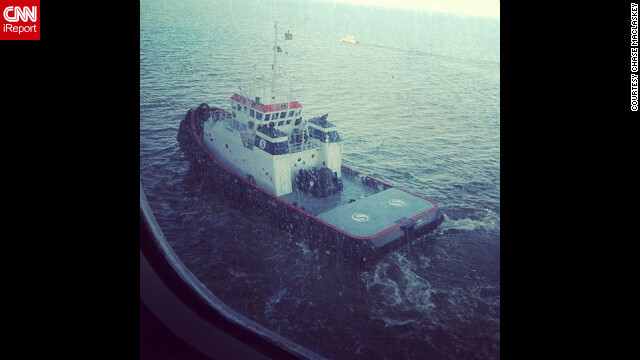 "One of two tugboats pulling us through the channel to Mobile, Alabama, along with a channel guide boat," writes Maclaskey. The ship is being towed slowly to Mobile, Alabama, and is expected to port late February 14. 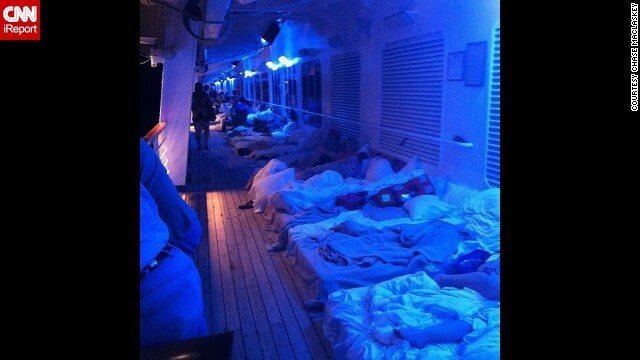 Passengers set up makeshift beds on a deck of the ship. 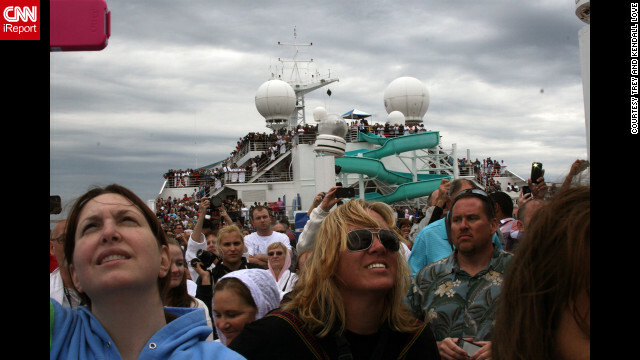 Passengers fill the deck of the ship and look up toward the sky. 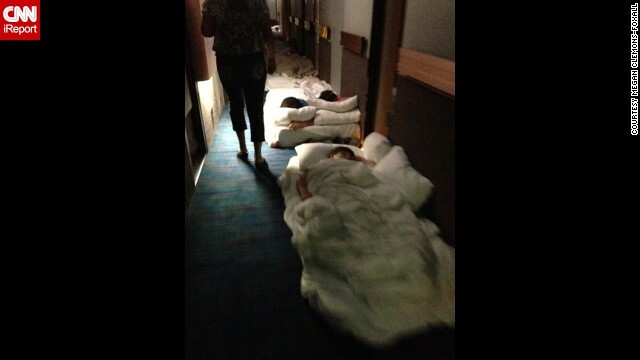 Passengers lie on beds in a hallway aboard the Carnival Triumph. 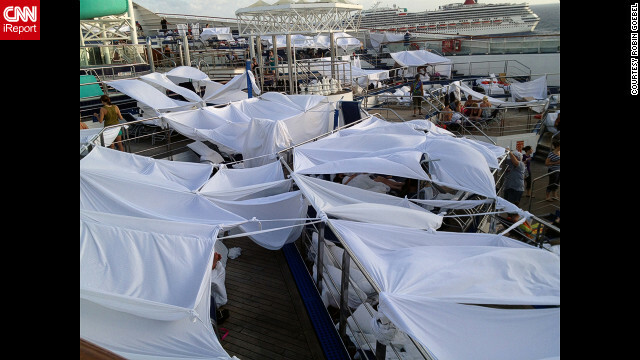 iReporter Robin Goebel says passengers dubbed an area "tent city" where many had chosen to set up temporary shelters on the deck of the disabled Carnival Triumph. Many slept on the decks of the ship because the rooms were too hot. Passengers aboard the disabled Carnival Triumph cruise ship wave to a helicopter overhead as it approaches the vessel on February 14. "This was one of the discovered only working outlets so people put their power strips together and we made a huge charging station," wrote passenger Kaitlyn Robertson. 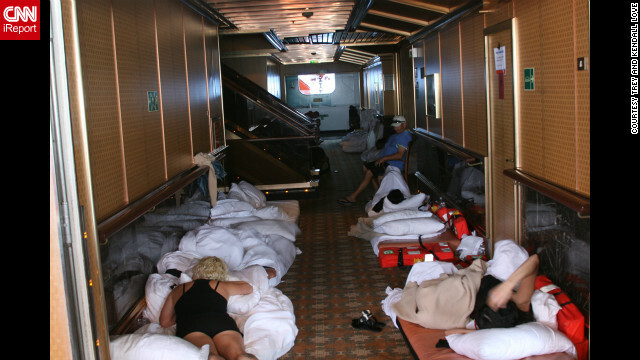 Passengers lie on mattresses in a hallway aboard the Carnival Triumph. 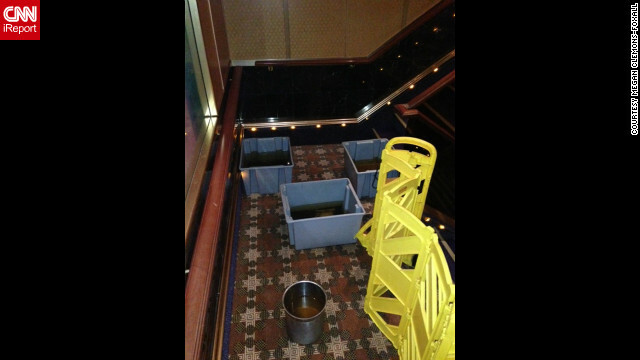 According to passenger Megan Clemons-Foxall these "buckets of sewage" rest in stairwell aboard the ship. 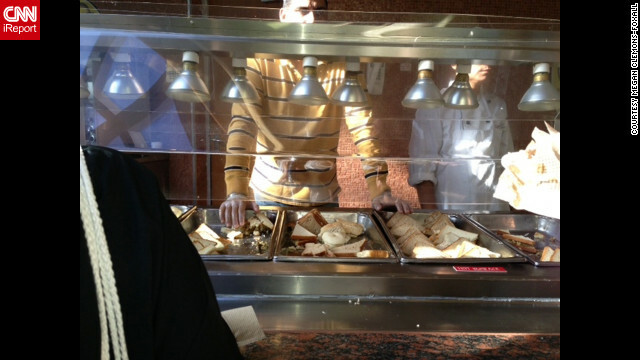 Passengers help themselves to food aboard the ship. 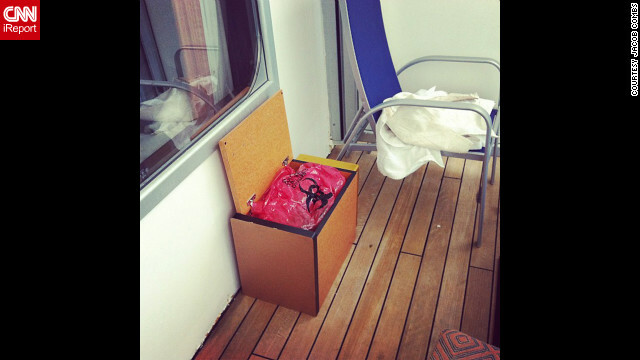 Instagram user Jacob Combs shot this photo of his balcony on the ship with the caption, "Excited for working toilets!" (CNN) -- More than 4,000 passengers and crew were stuck on a cruise ship since an engine room fire cut power and left the ship listing four days ago. Passengers confirmed uncomfortable conditions aboard the Carnival Triumph, saying urine and feces streamed in the halls and down walls after toilet facilities failed. The smells from waste and spoiling food, as well as a lack of air conditioning, have made it a trip to remember. As the ship was slowly pulled to a dock in Mobile, Alabama, frustrated passengers shared their thoughts and stories on social media sites such as Twitter, Facebook and Instagram. You can read their stories below. If you're unable to see the Storify page above, please click this link. First, it was Triumph. Then, Elation. Then, Dream. And now, Legend. Will Carnival keep its customers? Jebb Graff isn't turned off -- yet -- by Carnival Cruise Lines' recent troubles. Within the span of a month, four Carnival ships have reported problems. Carnival will fly all passengers on the Carnival Dream back to Florida after the ship suffered a generator failure while docked in the Caribbean. The crew aboard Carnival Triumph didn't hesitate when a fire broke out and power was lost, an emergency that turned the cruise liner into a bobbing Porta-Potty. "A floating toilet, a floating Petri dish, a floating hell." That was how a Texas woman described the Triumph in a lawsuit filed Friday against Carnival Cruise Lines. Click through our gallery to see the docking of the Carnival Triumph. Before the thousands of passengers and crew of the snakebit Carnival Triumph debarked Friday, an investigation into what went wrong had already begun. 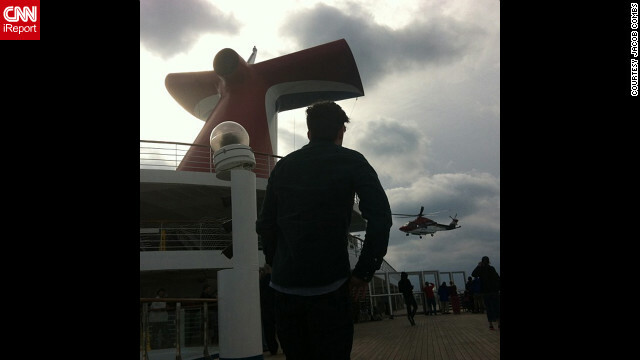 Parisa Safarzadeh shares her account of the hellish trip on the Carnival Triumph. Brianna Adkins stepped off the Carnival Triumph early Friday and into the arms of her anxious parents. CNN's Erin Burnett takes a look at the events in the Carnival cruise ship Triumph's attempts to return to port. Why did rescue take so long? It was Sunday that a fire broke out in the engine room on the Carnival Triumph, leaving it adrift in the Gulf of Mexico. Passengers aboard the cruise ship Triumph spell out "help" with their bodies. The last few years have seen a rash of engine fires aboard cruise ships -- many of which have led to an almost total loss of electrical power. As three tugboats towed the disabled Carnival cruise ship Triumph back to port in Mobile, Alabama, things went from bad to worse. People on ship and shore take to social media to complain. Days of sipping umbrella drinks have given way to the stench of backed-up sewage, stuffy cabins without power and limited food. The Carnival Triumph engine fire shows that the best-laid cruise plans can veer terribly off course. Can you sue over a bad cruise? 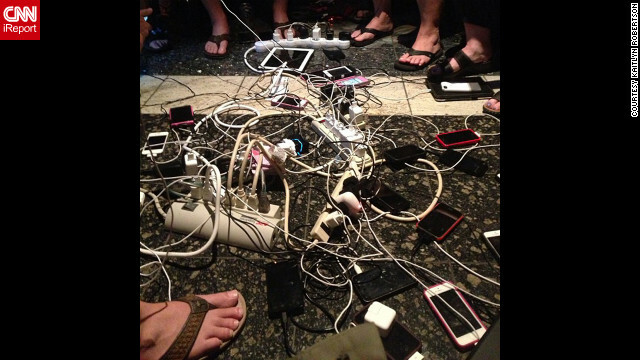 Some passengers may be in the mood to sue over their Carnival cruise experience. A lot goes on behind the scenes and below decks, and the industry would rather you not know about it.